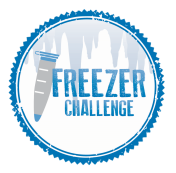 ​Freezer Challenge winners will be awarded at the 2019 I2SL Annual Conference. Plaques will be awarded to winning institutions, and an institutional representative will receive a stipend to attend the 2019 I2SL conference. Winning laboratories will have their picture published in a leading scientific journal and will receive a stipend to attend the 2019 I2SL conference. Given to institutions with the highest number of total points among all institutions participating in each sector. Given to institutions in each sector with the greatest number of points per number of participating units. Denali Prize winners must have at least 25 participating refrigeration units in the challenge (inclusive of ultra-low temperature freezers, walk-ins, and standard refrigeration units). Note: these two awards will be recognized when applicable. In the past, both the Everest and Denali awards were won by the organization. In each sector, individual labs scoring the highest number of points per number of refrigeration units will have their picture published in a leading scientific journal. Winning labs will also receive a stipend to attend the 2019 I2SL conference.